Formed in the year 2000 in Nürnberg (Germany) with the intention to celebrate Sludge/Doom in the vein of bands like Burning Witch, Cathedral, Grief (and many more). With currently four releases, several small tours, above 100 (more often then not) highly acclaimed live shows and loads of broken tubes and speaker chassis, VTS-M have transformed to a unique underground progressive doom/sludge act, not only focussing on playing slow but rather uniting heaviness with well-developed song structures and multi-layered sounds drawing from a whole lot of influences. Imagine Yob and Goatsnake are jamming with King Crimson, Entombed and Pink Floyd all at the same time. "The Eternity Itch" is VTS-M’s most intense and versatile release so far. Recorded by CPH (Beehover). 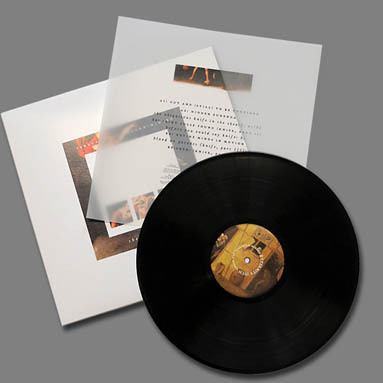 Edition: Black vinyl: 100 copies; White vinyl: 200 copies.LP inlay on transparent paper. First release of Halleluja Stoner Records!